One of Fontaine's 100,000 customers with a keen eye for photography, has a chance to win a $500 Fontaine gift certificate by sending a photo of their installed Fontaine faucet, sink or accessories. Fontaine Faucets, the largest privately owned brand label being sold on eBay, is pleased to announce the first ever Fontaine photography contest for its 100,000 customers. "Many of our customers have amazing home improvement skills and fantastic decorating sense," says Fontaine CEO Andy Martin, "It's a great chance for our customers to show off their home improvement and decorating skills." The winner will receive a $500 Fontaine gift certificate. Since the announcement of the contest in the Fontaine newsletter on January 12, Fontaine has already received dozens of photos of Roman tub faucets, wall-mount bridge kitchen sinks, glass vessel sink vanities, stainless steel kitchen sinks, and a photo a vessel sink with a newborn puppy getting a very stylish first bath under a Fontaine vessel filler faucet. Cats love running water too. No wonder the Fontaine staff found so many cats drinking from faucets when they looked for faucet videos on video sharing website YouTube. Fontaine is also accepting videos in this contest. If your cat loves your Fontaine faucet, you can send a video of your lovable pet drinking from a Fontaine faucet and you may win the $500 Fontaine gift certificate. 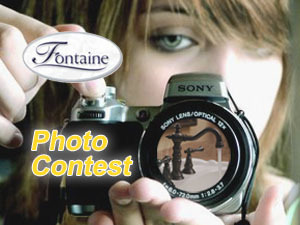 If you are one of Fontaine's 100,000 customers, and have got a keen eye for photography, send a photo of your installed Fontaine faucet, sink or accessories, for the chance to win a $500 Fontaine gift certificate for any product in stock on FontaineFaucets.com. You may also submit a video of the fixture in use by a family member (even the family pet!) or testimonial video about how you like your Fontaine product. Entry will be judged by the Fontaine executive staff for photographic quality, aesthetics and depiction of faucet. Fontaine plans to use these photos wherever possible, including print, so high resolution is preferred. Fontaine will accept all photos up to 10 megabytes in jpg, tif or psd (or video formats avi, mpg or mov). All photos & videos submitted may be used for Fontaine promotions. Submit one or more photos or videos by 3/31/07 to corey @ fontainefaucets.com or by regular mail. Fontaine will announce the winner on April 19, 2007 on the Fontaine blog. For the latest news on the contest, and to see some of the first entries, visit the Fontaine weblog at http://fontaine-faucets.blogspot.com. There you can also catch a glimpse of Fontaine TV, Fontaine's collection of YouTube videos featuring adorable cats drinking from faucets. Fontaine also sells glass vessel sinks, stone and porcelain vessel sinks, and vessel filler faucets. Bargain hunters can find Fontaine products on eBay, Overstock.com, Target.com and FontaineFaucets.com. 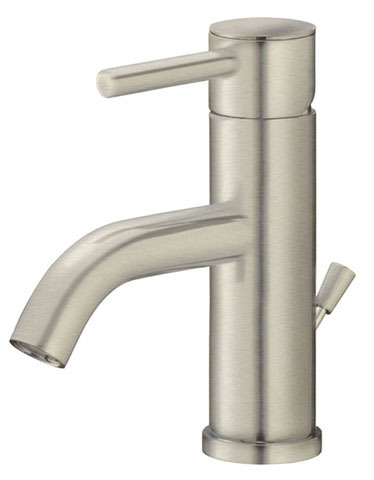 For questions, call Fontaine at 1-800-476-2950, visit FontaineFaucets.com or visit Fontaine's new showroom at 20372 Hermana Circle, Lake Forest, CA 92630. Fontaine Faucets - FSA Imports, Inc.
Fontaine Faucets Photography ContestFontaine Faucets Announces Photography Contest. Winner to receive $500 Fontaine Gift Certificate. Cats Love Fontaine FaucetsSee cats drinking from Faucets on Fontaine TV. Enter your lovable pet to win the $500 Fontaine Faucets photo & video contest. Fontaine Brushed Nickel Centerset Bathroom Sink FaucetUpdate the look in your bathroom with this European influenced Brushed Nickel 4-inch centerset faucet from the brand new Riviera Collection by Fontaine.